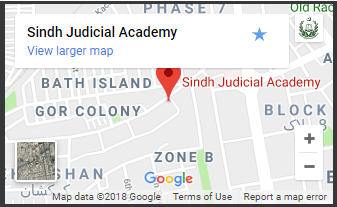 …..DEPARTMENTS OF SINDH JUDICIAL ACADMEY….. The Admin Department is responsible for maintaining day to day financial, accounting, administrative and personnel services in order to meet legislative requirements and support Academy’s operations. The Secretary is the head of administration of Academy who reports to the Honorable Director General of Academy. He is responsible for maintaining Academy policies and procedures in compliance with all Provincial Acts and Legislation. All other special assignments directed by Honorable Director General of Sindh Judicial Academy. The Accounts department is responsible for maintaining day to day financial accounting, administrative and personnel services in order to meet legislative requirements and support Academy’s operations. The Accounts Officer is the head of Accounts Department who reports to the Secretary of Academy. > Development of financial policies and procedures. The Library Department is responsible for providing library and research services for the Academy and maintenance of the library and its collections. 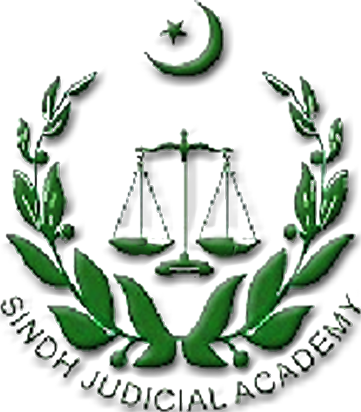 The department is headed by a qualified Librarian who reports directly to the Honorable Director General of Sindh Judicial Academy and provides librarian and research services. His responsibility is also to provide adequate services to ensure that materials are current and accessible, and available to library users when required. The I.T department is responsible for maintaining day to day I.T related jobs in order to meet legislative requirements and support Academy’s operations. > Coordinating with the ISP (internet service provider) in case of external problems and hardware issues like DSL routers etc. > Managing and Maintenance of Office Automation. > Providing assistance to the other faculty members and trainee officers for purchasing the hardware like desktop computers, laptops, data-sticks or printers etc. > Participating in meetings, training seminars and user groups. > Respond to emergency situations to resolve problems, as required. > Configuration of computer operating systems. > Perform other related work as assigned. > Information structure is designed and presented in such a way to encourage user for optimum use. > To make the training sessions interesting and interactive, there are over 400 slide shows designed and prepared.